The marina and campground is located in Northern Mono County, on the East Side of the Sierra Nevada mountain range, in California. We are approximately 1 hour North of Mammoth Lakes, Ca and about 2 1/2 hours South of Reno, Nv. Services include 80 ft. pull-throughs, Electric, Water, Sewer, Wi-Fi and Tent Camping as well access to Off-Road Trails to the Bodie Hills. The resort overlooks Bridgeport Reservoir in what is akin to a “Great Basin-High Desert environment. Beautiful views and open space add to the charm and experience of staying at the reservoir. Established in 1924, the reservoir was constructed to aid farmers and ranchers downstream in Nv. Soon after, it was realized a strong fishery could occur here too. Today, it sustains a population of Rainbow and Brown Trout as well as some Sacramento Perch. See Fish report. 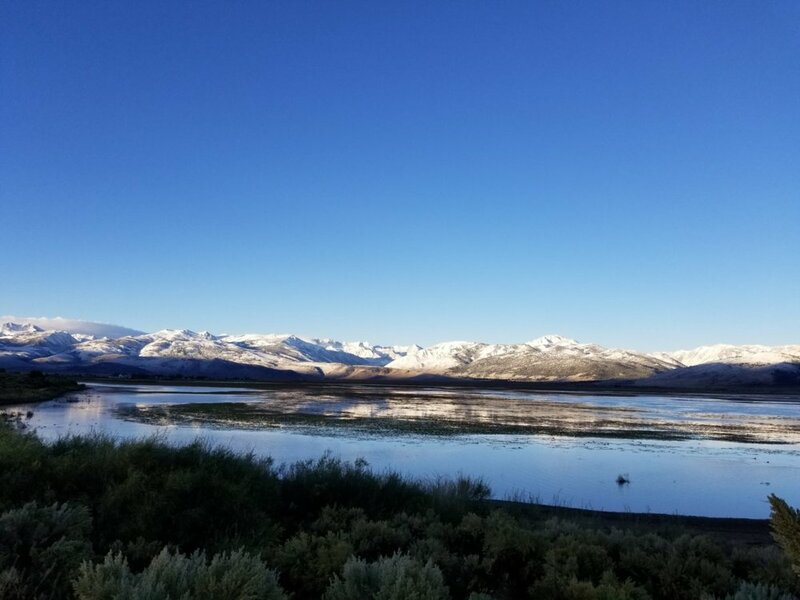 A rich eco-system, similar to Crowley Lake, provides an unlimited food supply for the fish to grow and populate. The Reservoir provides anglers of all ages and skill to catch fish, whether one is Trolling, Still-Fishing or Fly- Fishing. There are many other activities besides fishing to help guarantee a great vacation. Bring all your toys!! ATV off-road riding(leave from the park), Hiking, Biking, Rock or Mountain Climbing, Photography, Birding, Horseback Riding (we have short-term boarding) , all water sports(sailing, water-skiing, etc…). are just a few..